While Sarah and family are still reeling from Kira’s decision to cooperate with Rachel, we shift our focus to Alison. The episode begins with a flashback to the evening when Alison met Beth for the first time. Alison and Donnie have invited Aynsley and Chad Norris over for dinner. Remember them? The pre-episode montage reminds us that Aynsley is Alison’s former best friend and (wrongly) suspected monitor, who died via garbage disposal while Alison stood by. To divert suspicion away from her texts from Beth, Alison agrees to the Norrises’ suggestion that they shake things up a bit by doing shrooms. Alison has a bad trip (she ends up meeting Cosima while high), and ponders the worth of suburban life. Fast forward to today, and Alison is once again worried about her self-worth and her worth to her sestras. 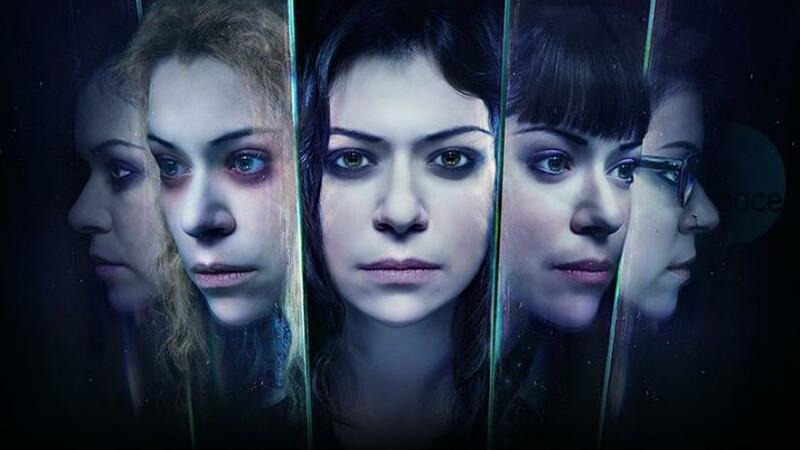 Cosima can do fancy science, Sarah and Helena are fertile, and Rachel is pulling all kinds of powerful strings. Alison can’t do any of these things, but she’s really, really good at being a homemaker and a pillar of the community. Powerful people treat Alison like she’s useless, shallow, and stupid because she’s a crafty stay-at-home mom who volunteers a lot at church. The show tends to treat Alison like this, too. Alison’s only interesting when she’s living a juxtaposition between the dangerous clone life (teaching people about guns, burying dead bodies in her garage, making money selling drugs) and her saccharine suburban image. It’s as if the show has decided that homemaking is inherently boring, so they have to add “cool” things to Alison’s life to make up for it. All the clones deal with violence and intrigue, but Beth’s police work, Cosima’s science, MK’s hacking, and even Sarah’s covert criminal abilities are taken seriously. Alison’s talents rarely are. If they’re not played for laughs, they’re usually accompanied by a goofy, twinkly soundtrack. It’s funny, and offers a great palate cleanser from the more dramatic elements of her other sestras’ plots. But if we take a second to look at the big picture, Alison is doing the best at living the clone dream: a normal life. Isn’t that the whole point of fighting DYAD and Neolution and, well, everyone? In some ways I think Alison’s treatment speaks to how our culture treats women who are good at being housewives. Alison’s crafting, organizing, and hosting talents are valued by those who are either also good at them or are trying to be. On one hand so many women are expected to live into that pretty, feminine role, and on the other they’re treated like they’re shallow for being good at it. Just take a few moments to step into the brutal world of Mommy-Blogging (and don’t get me started on Christian Mommy-Blogging, it’s even worse) and you’ll see how ridiculously image-conscious this subculture is. It’s that image-consciousness that makes Mr. Frontenac treat Alison like she’s shallow and worthless, but it’s also Alison’s secret weapon. Rachel sends her police cronies to the Hendrix household. Donnie knows where Helena is hiding (a convent) and isn’t telling, but Rachel’s goons are set on digging up enough leverage (literally). They search the house, and Art’s attempts to keep the team out of the garage (remember: bodies!) are thwarted. Meanwhile, Alison and Donnie are at their church’s Fall Festival. Someone asks Alison what she’s doing there, since she’s been dethroned as festival organizer. Alison wittily retorts: “Um… loving my neighbors, Eileen, and trying not to judge!” Is Alison the best Christian at this church? I think so. It’s in this moment that Alison realizes that while her church community has rejected her, her sestras never have. Alison’s spent so much time resisting any kind of active role in Clone Club that would take her away from her “normal life,” but now it seems that she’s given up on that life. Alison knows exactly how to attack Rachel in a way that no other sestra can see. It’s because Alison is so good at crafting an image that she alone understands the damage the murder of Dr. Leekie would do to DYAD. Alison packs up her big white bag and heads to Rachel’s office. It’s the first time these two particular clones have met in person, and Alison plops her bag on Rachel’s desk, revealing the frozen head of Dr. Leekie. She explains to Rachel that if his death is connected to Donnie and Alison, Neolution’s reputation will also be irrevocably harmed. Alison demands that Rachel call off her team. Rachel knows when she’s been beat, and relents. As she leaves in the elevator, Alison smiles. Who would have thought that Alison, of all the clones, would beat Rachel at her own game? At the end of the episode we see Alison telling Donnie that she feels like she needs to do some serious soul searching, and wants to go away for a while. “Like a yoga retreat?” he asks. No, not quite. Alison has to figure out who she is, and this might mean we won’t see her for a while. It’s a shame, because Alison is just beginning to come into her own. I love what they’ve done with Alison’s arc. It feels like a great payoff after so many seasons of being sidelined as comic relief. However, while it’s meant to show that Alison is just as valuable as any of the other clones, I worry that it’s for the wrong reasons. Alison’s valuable because she’s proven to be just as ruthless and calculating as Rachel, but the message I’m left with is that Alison is great despite her love of bake sales and craft rooms, not because of them. Again, what’s the real goal here? Clone Club doesn’t struggle and rebel just to rebel. This season it’s pretty clear that so many of them are willing to give into Rachel’s demands because she’s offering them a chance for a normal life. Now that she’s off on some unknown soul search, I hope she’s not going to abandon those things altogether. If Alison doesn’t come back to suburbia in some way, the narrative’s message will be that her way of living wasn’t as good as that of her sestras. 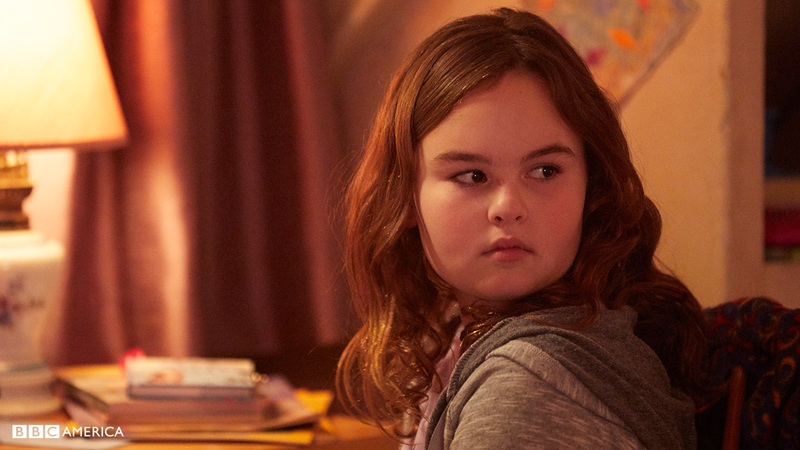 Sarah says she wants a normal life for Kira, with school and bedtimes and Minecraft. Even though Sarah’s wishes are at odds with Kira’s, both positions are presented like good choices. Yet how is Sarah’s desire for normalcy all that much different from what Alison lives? Alison is the perfect person to help Sarah more fully live into the lifestyle she wants for Kira. I don’t see Sarah ever joining the PTA, but anyone can bake cookies, help with science fairs, and throw birthday parties, with a little help from Auntie Alison. It’d be a great way to show how Alison’s unique interests and skills are valued by others without totally rewriting her character. The final shot of the episode is Helena in a convent, writing in her journal in Ukranian. A Tumblr user translated it — it seems like she’s writing about her unborn children. They seem to be more valuable to Rachel than Kira. Speaking of Kira, our parting shot of her was Kira surreptitiously grabbing a pocket knife from her desk drawer, and the preview for next week has a makeshift bandage on her arm. Mrs. S has some kind of lead that will help Kira. It looks like they’re breaking into a bank, maybe? Regardless, it’s getting dark, fast. We’ll see more of her, Cosima, and Sarah next week. This entry was posted in Orphan Black, Reviews, tv show and tagged alison hendrix, beneath her heart, clone club, dyad institute, feminism, kira manning, orphan black by stinekey. Bookmark the permalink.